TRADOC is one of Applied Computer Systems largest customers! Happy Veterans Day! 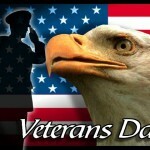 Thank you to all the service men and women who have and who are serving our country and protecting our freedoms.